Did someone say something about a correction in marijuana stocks? Although the fourth quarter of 2018 was a bit rough on cannabis investors, January likely turned that frown upside down, and instilled a high that pot stock shareholders have come to appreciate. For the month of January, the Horizons Marijuana Life Sciences ETF, a basket of around four dozen cannabis and cannabis-related securities with varied weightings, gained 48.3%. I'll repeat that for you skimmers: The most widely followed and first publicly traded marijuana ETF gained almost 50% in just one month. From small-caps to large-caps, to direct and ancillary players, the entire industry came roaring out of the gate in January. Let's take a closer look at some of the catalysts responsible for inciting such incredible gains. For starters, marijuana companies with healthy cash balances were practically unstoppable last month. Since most publicly traded pot companies still struggle to gain access to non-dilutive financing options, even in Canada, potentially cash-rich growers like Canopy Growth and Cronos Group that don't have to worry about dilutive capital raises did quite well. Canopy Growth had an estimated $4.3 billion in cash on hand following the closure of Constellation Brands' equity investment in November. With its third investment in Canopy since October 2017, Constellation upped its equity stake to 37%, and the warrants it received give it the opportunity to boost its stake to 56% in the years to come. Meanwhile, tobacco kingpin Altria announced in December that it'd be investing $1.8 billion into Cronos Group, giving Cronos a little over $1.8 billion in cash on hand, once the deal closes. After years of declining tobacco cigarette shipments, Altria is looking for a means to reignite growth, whether that be through product collaborations with Cronos, or simply acquiring Cronos down the road. As for Cronos, it'll most likely use this capital to expand overseas, and possibly to increase production capacity. 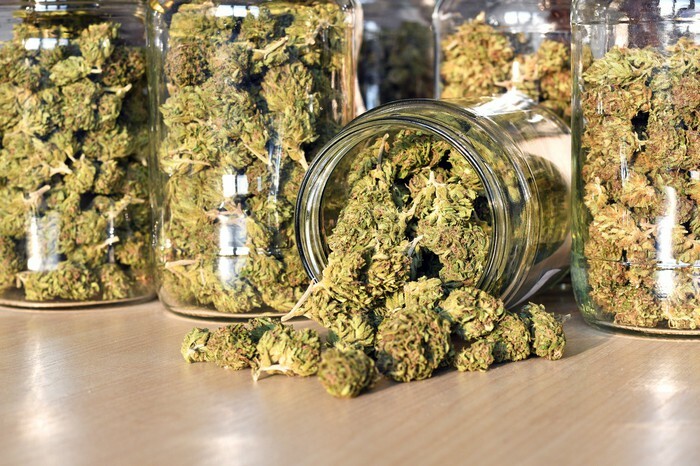 Marijuana stocks that are in the process of uplisting from the over-the-counter (OTC) exchange to a major U.S. exchange also had a very productive month. In January, Quebec-based HEXO completed its move from the OTC exchange to the New York Stock Exchange American boards, becoming the sixth Canadian-based pot stock to list its shares on a major U.S. exchange. Uplisting should improve HEXO's daily trading volume and liquidity, and will allow Wall Street to cover and/or invest in the company. Not all Wall Street firms are allowed to invest in or cover OTC-listed stocks. Last month, Village Farms International also announced that it was planning to make the move to the Nasdaq. The company has filed the paperwork needed to do so; completing the process will give it, like HEXO, a major step up in liquidity and visibility. Village Farms International is in the process of retrofitting and licensing the Delta-3 greenhouse in British Columbia with joint venture partner Emerald Health Therapeutics. Another interesting trend in January was that legal issues and/or short-sellers reports appeared to take a back seat for marijuana stocks. This was particularly noticeable for Namaste Technologies and Aphria. 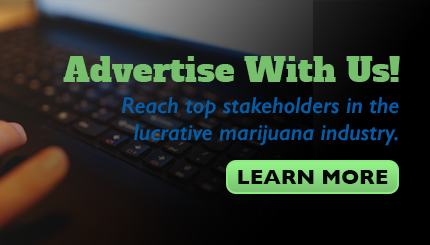 For instance, Namaste, which is developing the NamasteMD e-commerce cannabis platform, has lagged its peers since an October report from Citron Research surfaced. The report alleged that the company had sold assets to insiders, and purposefully hid U.S. assets while attempting to uplist to a major U.S. exchange. Regardless of whether the initial allegations were true or not, Namaste suffered a loss of confidence from investors. In January, it apparently clawed some of that trust back. Aphria faced a similar scenario in December, when a report co-authored by Quintessential Capital Management and forensic analysis firm Hindenburg Research alleged that Aphria purchased Latin American assets from SOL Global Investments for an overinflated price. The duo claimed that these assets had been purchased for a fraction of their sale price from shell companies by SOL Global, whose CEO is also an Aphria advisor. Facing multiple lawsuits initially after the report was released, in January, Aphria's share price gained back pretty much all that it had lost. Finally, we were reminded that earnings results actually matter now. Last week, Atlantic-based grower OrganiGram Holdings reported its fiscal first-quarter operating results, and they clearly impressed Wall Street and investors. Sales for the quarter rose 419% to 12.4 million Canadian dollars, with earnings per share climbing to CA$0.195 from a loss of about CA$0.01 per share in the year-ago quarter. Recreational demand led the way, with OrganiGram forecasting that second-quarter sales would be about double what it recorded in the first quarter. The company also generated its first-ever quarter of positive free cash flow. For nearly all pot stocks, earnings results this quarter will include between one and two months in the post-legalization environment. Investors will be looking for rapid sales growth, and bottom-line improvements similar to those delivered by OrganiGram.